Already anointed as the best shooter by several of the NBA’s legendary shooters, this season climbing the mountain as the top dog in the NBA and discussions about his being one of the greatest players in history. With all the current and future exposure, there are, and will be many (including me) curious about his ethnicity and background. With Steph Curry’s light skin and light brown/hazel eyes, it’s not a surprise that Curry’s race and nationality are being Googled often. And though the most queries are around African-American and white/Caucasian, there are also searches asking if Curry is Mexican, part-Haitian, or half-Filipino. So yes, there’s some confusion out there. 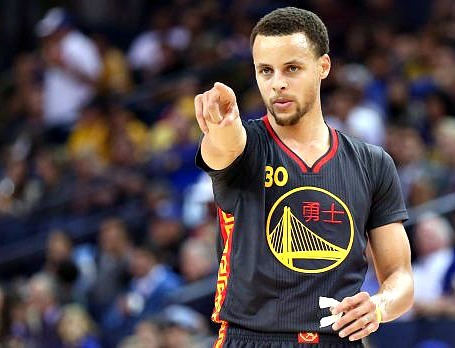 Like others (including Kevin Durant), I assumed that Curry wasn’t full African-American — not for any other reason than based on his complexion. He IS mixed-race. There’s no denying it. In fact, he looks more white than black. Steph is NOT mixed, Catherine. Click and read the article linked, and you will see that his sister confirms this on Twitter. He’s NOT Creole, Caucasian or Haitian. Just African American. His mom never said she’s mixed, someone on that NBA Website made that up and the lies spread. He’s black. His sister Sydel confirms it too. lol, he’s not mix it doesn’t take a too white or light of a parent to inherent their pigment. the eyes are simply possible to inherent his mom hair could be hard or soft it doesn’t change fact that having her eyes are impossible…also his hair texture would be quite different…just saying look at Klay’s hair, see how it’s kinda sparkling silk and the majority of his hair strands are distinct not wholly ? Sick of mixed race people in the public eye only taken one side. Its a failure to all of mankind to do so and is worse than being of one race and raciest. DO YOUR JOB AND OWN WHAT YOU ARE AND HEAL THE WORLD WITH YOUR GIFT!